You can use the OverDrive app to listen to borrowed audiobooks on your Chromebook. Note: If you'd rather listen to audiobooks in your Chrome web browser, you can use OverDrive Listen instead. 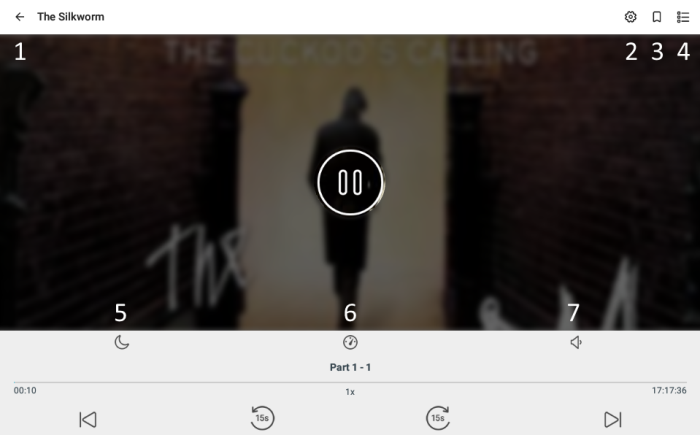 Once you've borrowed and downloaded an audiobook in the app, select the Home menu in the top-left corner of the app, go to your Bookshelf, then click or tap the audiobook to start listening.